was born in Tulse Hill, London, in 1946. He was a Foundation Scholar at the Royal College of Music, London, where he studied composition with Bernard Stevens and Humphrey Searle, and piano with Edwin Benbow and lan Lake. Later, he studied in Italy with Roman Vlad. 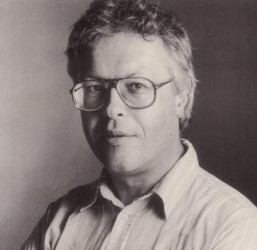 He created the Music Department of the London School of Contemporary Dance, and has been associated as composer with many other dance companies. He has taught at Dartington Summer School, Winchester College, the Junior Department of the Royal College of Music, Chelsea College of Art, and is a guest lecturer at many colleges and universities. He has also been Musician-in-Residence to the Victorian College of the Arts, the City of Caulfield in Australia, and the East London Late Starters Orchestra. He taught at the Royal Academy of Music in London, and was recently appointed to the Chair in Composition at the University of Southampton. He has been Composer-in-Residence at numerous festivals, and his works are widely performed and broadcast worldwide. As a pianist he is particularly associated with the commissioning and performing of contemporary British work. 1990-98 he was President of the International Society of Contemporary Music, and in 1998 was made an Honorary Member of the ISCM. A detailed biography - Uncommon Ground. The Music of Michael Finnissy - edited by Henrietta Brougham, Christopher Fox and Ian Pace, has been published by Ashgate Publications Ltd., Aldershot, Hants.